When I saw Yujia Hu’s unique sushi masterpieces, I was immediately drawn in. He combines two of my favorite things--fashion and seafood--in order to sculpt Dolce & Gabbana heels, Nike high-tops, Gucci loafers, and other pieces of clothing & accessories. So how does the Milan-based artist create such masterpieces? Hu did not start off making such fashionable creations. 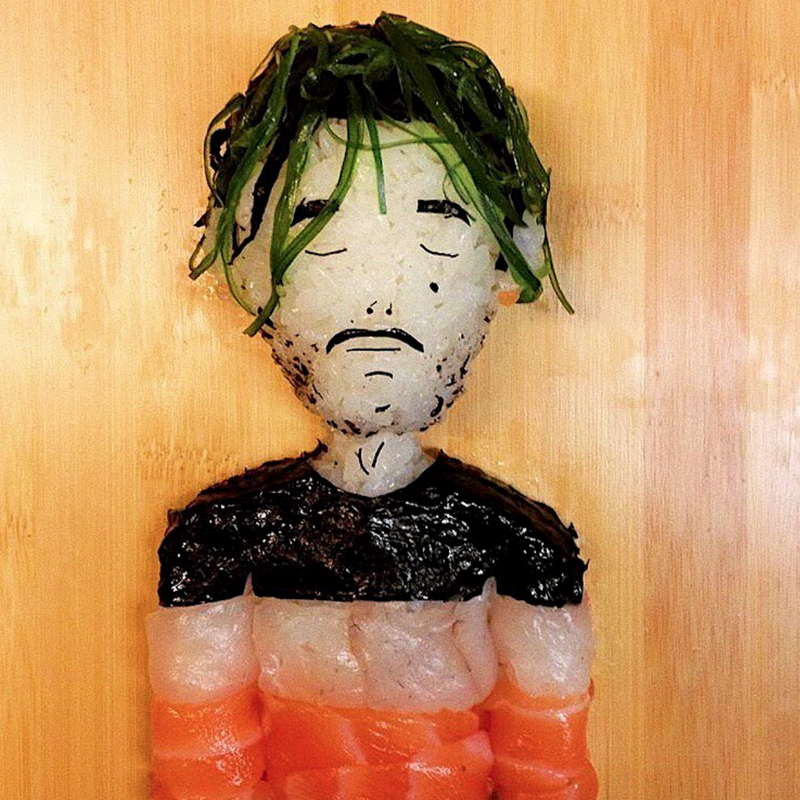 About a year ago, he started experimenting with rice, sashimi, and nori in his family’s sushi restaurant and attempted to mold NBA players, movie characters, and rappers. His original intention was to use his works of art to promote his family’s restaurant on social media. Little did he know that eventually, he would obtain over 40,000 Instagram followers on his page “@theonigiriart.” He has earned nods from numerous celebrities, including Riccardo Tisci, the former creative director of Givenchy who recently re-’grammed the portrait that Hu created for him. Fall Out Boy, a popular American rock band, even contacted him to sculpt their own onigiri portraits. Hu’s current works of art--usually of shoes--are truly one of a kind. He has molded nori and tuna Gucci loafers, ankle-strap Jimmy Choos made of salmon, Fendi boots sculpted out of nori, and more. Hu incorporates salmon into the majority of his creations, as it has a unique texture and pops when one views it on social media. Although he is constantly challenged by replicating the details of each character he makes (whether it’s an eyebrow, beard, earring, or tattoo), Hu is not afraid to take it on. At this level of determination, I know I’ll be seeing his collaboration with Gucci in no time.